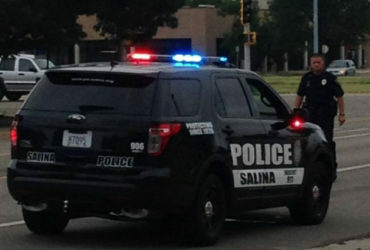 An account has been established to help a Salina Police Officer who has been diagnosed with a brain tumor. A gofundme account has been established to help Officer Randy Constantino. According to the page, Constantino has a very large, and life threatening, brain tumor. Doctors believe it is one of two kinds; either Astrocytoma or Acoustic Neuroma. Our understanding is they will not know which until they do surgery, which will need to take place as soon as possible. If the surgery is successful, Constantino is looking at a long road to recovery. He has been told the absolute soonest that he will be able to return to work is 2020. Constantino is an 8 year veteran of the department, currently working in patrol as a Field Training Officer. He is also a SWAT Negotiator and part of the specialized Bike Patrol. Contributions will be used to cover medical and travel expenses for Constantino and his family as they anticipate making many trips to Mayo Clinic in Rochester, Minnesota over the next several days, weeks, and months to get the best medical care possible. The Constantino family would like everyone to know that their faith in God is helping them and their family get through this difficult time, and any prayers are appreciated. UPDATE: Good and bad news. The good news is the doctors at KU think it’s benign and is an acoustic neuroma based on location, characteristics, and size, however they still will not know until surgery. Because it’s so large they will have to do two surgeries. The bad news is that they do not think he has a chance of hearing and will have facial paralysis on one side. The doctor said there is a 5-10 percent chance of a stroke during surgery or brain fluid leak. They are in good spirits and are currently on their way to Mayo Clinic to meet with four additional doctors. They would like to thank everyone for the overwhelming support and prayers.